Before people address a problem, they must be made aware of it. Once aware, they must take appropriate action to solve the problem. This is the premise behind This Spaceship Earth’s “crew consciousness” concept. TSE is devoted to developing people from being passive passengers on Spaceship Earth to being active crew members. Just as the members of a crew’s ship have different roles and responsibilities, so do crew members of Spaceship Earth. For me, political activism is one way I’ve chosen to act as crew. That is the axiom and motivating belief that guides the Citizens’ Climate Lobby (CCL), a nonpartisan group. CCL volunteers build constructive, working relationships with members of Congress. We seek passage of Carbon Fee and Dividend, a climate change solution that bridges the partisan divide. Our preferred solution has been endorsed by figures as diverse as climate scientist James Hansen and former Secretary of State George Shultz. Here’s how it works: A fee is placed on carbon-based fuels at the point of entry into the economy, such as from a well, a mine or a port of entry. The fee starts small at $15 per ton of carbon. It then rises steadily and predictably, increasing by $10 per ton per year. Net fees collected are then returned to American households on an equal and per capita basis to offset the increase in prices that oil and gas companies will surely pass on to consumers. A border adjustment places a tariff on imports from any country that doesn’t have an equivalent price on carbon. This removes incentives for American manufacturing to move overseas. Just as importantly, it guarantees that any country doing business with America will pay a carbon fee, whether levied within its own domestic economy or upon shipping goods to the United States. A predictably rising carbon price would end the era of unlimited carbon emissions at zero cost to the producers. Providing this clear market signal would unleash entrepreneurs in the clean energy sector, decrease carbon dioxide emissions to 33% below 1990 levels in the first 10 years, and to 52% below 1990 levels a decade later. Since the plan includes returning the funds to the American people as a monthly dividend, it does not increase the size of government, so it is acceptable to fiscal conservatives. My experience with Citizens’ Climate Lobby goes back to May 2013 when I helped start the Montclair, New Jersey chapter. At the time, there were fewer than 100 CCL chapters across North America. Now we have more than 400, including chapters in 30 countries. CCL is the best organization I have ever joined, and I have done my best work as a volunteer for this group. CCL empowers us as citizens by encouraging and supporting our efforts. It provides training, programming for regional and national conferences, and effective communication strategies, all designed to gently persuade climate sceptics while treating them with respect. I have been to five Washington DC conferences and participated in more than 15 lobby meetings with aides or members of Congress as a CCL representative. This conference was the best ever, with some thirteen hundred volunteers participating. They came because they’re worried we won’t have a habitable planet, if we don’t reduce the heat-trapping gases that are inexorably warming Spaceship Earth. Everyone was excited about working together to move the ball forward, to engage with our representatives, and to reclaim our democracy. Some had never been to Washington or ever met with their member of Congress. They spent years standing on the sidelines, disengaged, despairing and cynical. But not anymore. There were excellent keynote speakers and informative breakout sessions. Leiserowitz reported on the Yale survey, which found that those who are “alarmed” or “concerned” about climate change represent 52% of the public. When the “alarmed” (18% of the population or about 45 million Americans) were asked “How willing or unwilling would you be to join a campaign to convince elected officials to take action to reduce global warming?” 67% responded that they were already doing that, would “definitely” do that, or would “probably” do it. That’s 30 million people who are ready to be involved with groups like CCL. Most notable (and emotional) for me was the presentation on Our Children’s Trust, a group of children pursuing a landmark climate lawsuit on behalf of future generations. When they are successful, the settlement will be akin to Brown vs. Board of Education in its importance. Lobby day was June 13th and approximately 1,000 advocates took part in the 500 meetings that were scheduled. (We made hundreds of phone calls just to set up appointments.) We were ubiquitous on Capitol Hill. All lobby meetings are confidential, to establish trust, but I can say the reception I experienced with both Democratic and Republican offices was cordial. Aides and members of Congress are aware of who we are, what we seek and how much progress we have made. One of our “asks” was to join the bipartisan Climate Solutions Caucus. 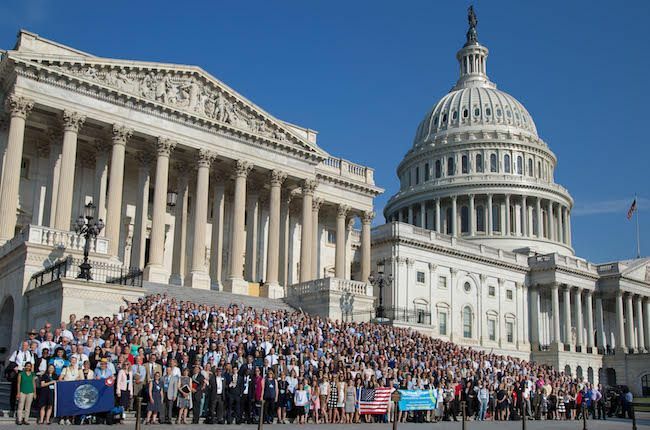 Founded by Florida Congressmen Ted Deutch (D-19) and Carlos Curbelo (R-26), and championed by CCL, CSC is an active working group dedicated to the passage of bipartisan climate solutions. Its members have joined in pairs with every Republican partnering with a Democrat to maintain political and ideological balance. In early June, the group reached 40 members. We expect to have 50 members soon. Just two years ago it would’ve been impossible to have a bipartisan caucus with the phrase “climate solutions” in its title. 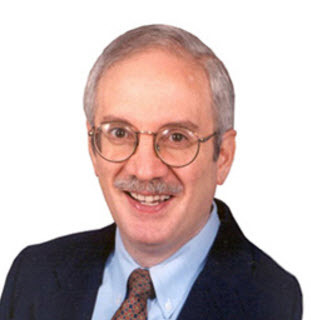 Roger Streit studied economics as an undergraduate at Lafayette College. He has an MBA in finance from the University of Rochester, and he’s a retired financial planner. Roger has been a member of Citizens’ Climate Lobby (CCL) since May 2013. He is now the co-leader of the Venice Florida chapter of CCL. Roger has participated in more than fifteen lobby meetings with members of Congress or their aides. He has served on CCL’s fund-raising committee as well as Team Oil, a CCL group that reaches out to oil company executives.